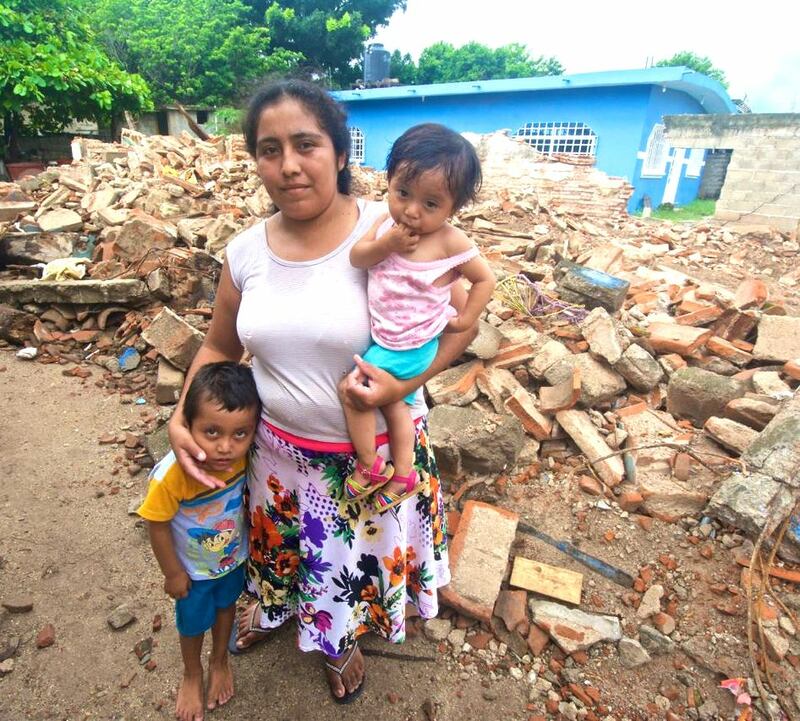 A major earthquake on July 7th impacted thousands of poor families in Chiapas and Guatemala. The quake destroyed homes or made them too unsafe to live in. Many of these families had already suffered the loss of income due to the failure of the coffee crop on which they depend for a living. 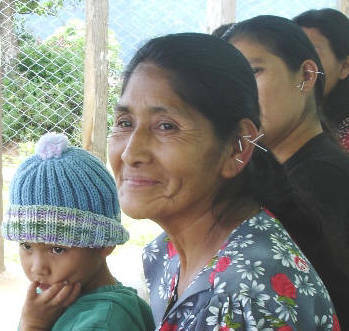 Thanks to the support of our community, Dr. Tamara Brennan was able to go to remote villages in the mountains to provide auricular acupuncture to reduce the traumatic stress people were experiencing. As one woman put it, "This has made all the difference for me. I feel like myself again." We received donations of over 10,000 acupuncture needles from acupuncture practitioners in Arizona, Lhasa OMS and Golden Flower Herbs. Gary Williams and Shirley Cole from the EFT Hub; Dr. Craig Weiner, D.C., Dr. David Feinstein, June Spencer. We acknowledge the many kind people who make their knowledge and experience known to anyone seeking answers through interviews, newsletters and other offerings. 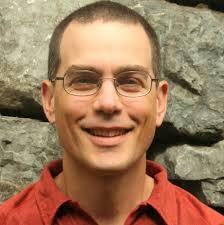 Dr. Rick Hanson, for offering access to his invaluable training "Foundations of Well-Being" in support of this work. Alina Frank and Dr.Craig Wiener, for generously gifting their Wheel of Manifestation course as a contribute to our success. 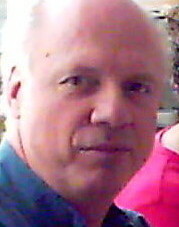 Dr. Dain Heer, co-creator of Access Consciousness, graciously offered his Global Bars training. Access Bars is a highly effective technique for releasing emotional trauma from the body. Thank you to Tapas Fleming for providing access to workshops on TAT. The Steve Frankel Group contributed access to "Innovations in Trauma Therapy" - a global event with leading experts in trauma therapy. Alan Seid of Cascadia Workshops donated training materials from the A Path With Heart Summit on Nonviolent Communication. Donated training materials from the Tapping World Summit. There are many ways you can easily help Sexto Sol: Buy our fair trade coffee, our t-shirt, or search with GoodSearch, volunteer, and more. We consider any time you act with kindness to be a proactive way to contribute to a better world. Photo at top of page: Children stand near the ruins of their school. The community of 100 homes was destroyed in flooding caused by Hurricane Stan. Sexto Sol responded to the disaster by providing seeds for emergency food gardens. We sponsored the training of 50 doctors, nurses and traditional healers in auricular acupuncture to treat the Post Traumatic Stress of survivors. Thousands received these treatments including people from this community pictured here. We are preparing a team to go to Oaxaca, Mexico to assist the population traumatized by the massive losses from the 8.2 magnitude earthquake and aftershocks, a crisis that began September 7th, 2017. We've learned that aid is not reaching the poorest, indigenous communities where damage was extreme. Tbere has been a call from aid workers for help for people who are suffering deep trauma and are further terrified with each strong aftershock. 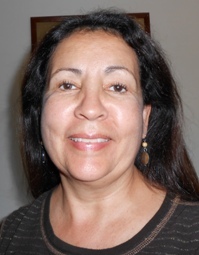 We have an experienced 3 person team to be headed by Sexto Sol Executive Director adn psychologist Dr. Tamara Brennan. Please help us get there with your tax-deductible contribution to our Solidarity with Oaxaca Fund to provide this help for Indigenous communities in the isthmus of Oaxaca. Humanity has endured unspeakable suffering as a result of war, forced relocation and exile, colonization, environmental devastation, globalization, chronic poverty, AIDs, and catastrophic natural disasters. For survivors of such life-changing tragedies, long-term emotional distress can lead to illness, affect family relationships, and make it difficult to do all that is necessary to rebuild their lives. Furthermore, trauma in a family can be absorbed by a person's children so powerfully that it becomes part of their identity. Fortunately, there are healing methods that have been shown to be remarkably effective in alleviating traumatic stress and emotional suffering. Among these therapies are Emotional Freedom Technique (EFT), auricular acupuncture, WHEE, Access Bars, and Inner RePatterning. 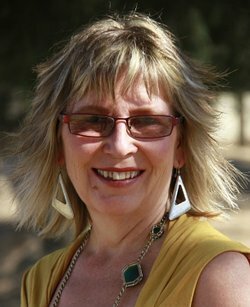 These techniques are part of the leading-edge approach to healing known as energy medicine and energy psychology which engage the energetic system of the body to heal the body, mind and spirit. Researchers in the fields of epi-genetics, neuro-psychology, mindfulness and other disciplines are discovering exciting new information that shows how the brain can be "rewired" to create new emotional states. We are learning more about the complexity of the physical human heart and other body structures and how they also play a role in trauma and recovery. The Sexto Sol Center's work to help communities in crisis is informed by these new scientific discoveries that offer so much promise for healing. 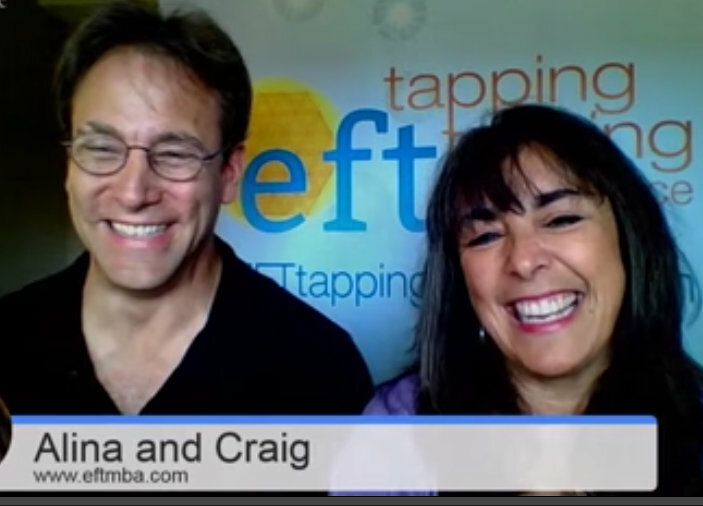 You can view a video series by Dr. Craig Weiner on the science supporting EFT here. Our thanks to him for making this available. Photo: IPH was featured on EFT Hub Summit during an interview with June Spencer. The mission of The Sexto Sol Center's IPH program is to make effective and easy to use therapies available for the most people possible in the places where a serious crisis has impacted the population. To accomplish this, IPH partners will formally train people who are well placed within their communities such as health care providers, traditional healers and others, so that they can then help their own people. The individuals whom we train will assist their community by offering these therapies in a culturally appropriate way while drawing on their own understanding of the significance of the traumatic events that took place. The training will be carried out under the coordination of the Sexto Sol Center. Projects will be carefully tailored to each humanitarian situation and political landscape, and will address the specific needs identified by the people themselves since they are also partners in the healing process. When possible we will include training in Nonviolent Communication. NVC is a method of effectively engaging with others to resolve conflict in a way that heals and leads to more enduring peace. The unique contribution of Sexto Sol's International Partners for Healing program is to extend the reach of some of the most innovative and effective therapies into the corners of our world that cry for relief. We are honored to have among our partners innovators who have developed leading edge therapies that offer great promise for relieving the suffering of many people. Photo: Organización de Mèdicos Indígenas de la Sierra. Since 2006, we have been providing assistance to survivors of natural disasters to reduce the resulting psychological and emotional trauma that would otherwise cause them long term suffering and could lead to chronic illness. 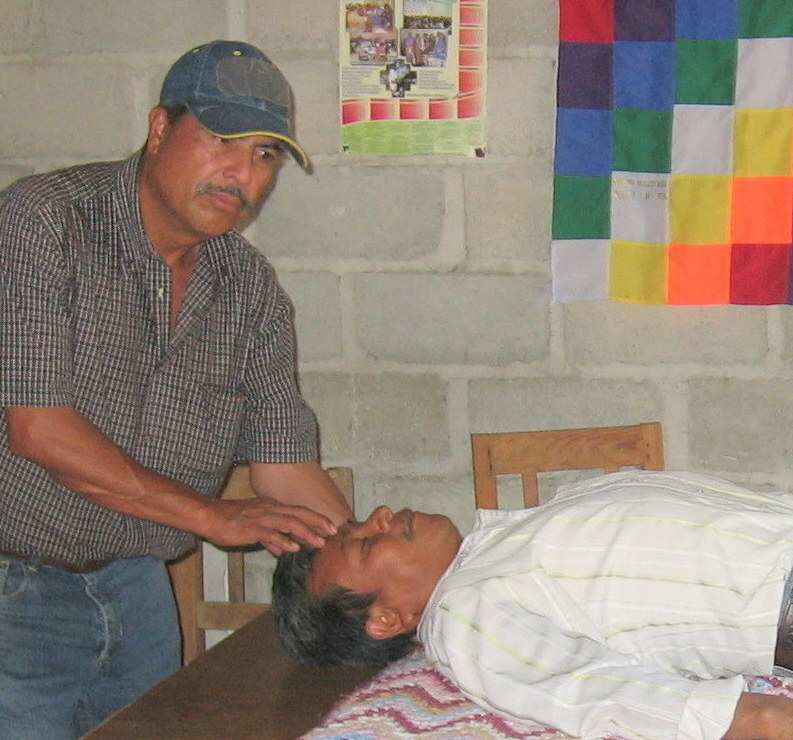 The International Partners for Healing program builds on the success of Sexto Sol's first collaboration with the Acupuncture International Brigade (AIB). In 2006 over half a million people in Chiapas, Mexico suffered the extreme devastation caused by Hurricane Stan. The majority of those affected lived in very poor, remote, mountain communities. In order to assist so many traumatized people, we sponsored the work of AIB's emergency response team of acupuncture instructors. Over 6 days the team trained 50 local doctors, nurses and indigenous healers at the Instituto Mexicano de Seguro Social hospital to use acupuncture to alleviate post traumatic stress (PTSD). They supervised the trainees as they treated hundreds of people who came day after day to find relief. The health care providers who took the training then went on to treat thousands of people in the affected cities and in the remote areas where people had lost everything. People walked long distances to get this help. See our video on the upper right of this page to learn why we us energy healing methods and learn about our successful collaboration with Acupuncture International Brigade. For a closer look at how the original work brought to thousands after Hurricane Stan in 2006 please visit here. The International Partners for Healing program was created by Tamara Brennan, Ph.D., Executive Director of the Sexto Sol Center. She is a sociocultural and community psychologist with a commitment to assisting land-based communities to overcome the trauma resulting from war, exile, resource extraction or natural disaster. She promotes the use of the body-mind therapies that are proving to be highly effective in alleviating trauma. Tamara develops and coordinates the IPH responses to crisis situations in partnership with key people in the country affected, and, organizes all aspects of bringing the project into being. Her contribution to IPH training projects is to make relevant scientific information accessible in a way that bridges the Western understanding of the psycho-somatic aspects of trauma and healing with the Eastern orientation. In this way she hopes to contribute to the preparedness of people in country so that they can better help their own people. She believes that by alleviating suffering in populations in crisis, all humanity is uplifted. Deborah D. Miller, Ph.D. in Cell and Molecular Biology, is passionate about empowering people to maintain a healthy state of mind and body. She is an EFT Expert and Trainer, Deeksha Giver, Reiki Master, Nutritional Guide, Personal Motivation Guide and internationally recognized author. She is the creator of an innovative program for children suffering from cancer that she has offered since 2007 in a hospital in Oaxaca, Mexico. Through this volunteer work Deborah provides EFT and energy techniques to hospitalized children, their parents and nurses to effectively help them reduce stress, fear and anxiety with a demonstrated positive impact on the children's course of treatment. Author of two self-help healing books, her beautifully illustrated book "The Dragon with Flames of Love" empowers parents of seriously ill children to help their child by using EFT. Deborah is on a mission to help a million people to "tap, eat and drink" their way to health. 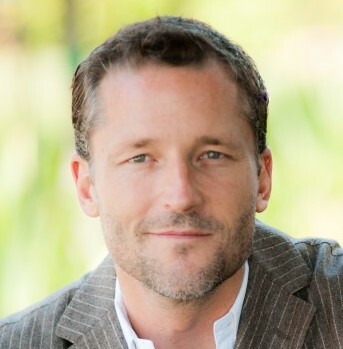 Daniel J. Benor, MD, ABHM, is a wholistic psychiatric psychotherapist who includes bodymind approaches, spiritual awareness and healing in his practice. Dr. Benor has taught this spectrum of methods internationally for 25 years to people involved in wholistic, intuitive, and spiritual approaches to caring, health and personal development. He developed the method called WHEE - Wholistic Hybrid derived from Eye Movement Desensitization and Reprocessing (EMDR) and Emotional Freedom Technique (EFT) www.paintap.com. Dr. Benor helps people release and recover from severe trauma using WHEE, his powerful self-healing method. Once learned, WHEE can be used whenever a person is stressed or triggered, and to clear the residual residues of the traumas. He founded The Doctor-Healer Network in England and North America. He is a Founding Diplomat of the American Board of Integrative Holistic Medicine, Founder and Past Coordinator for the Council for Healing, a non-profit organization that promotes awareness of spiritual healing, and for many years sat on the advisory boards of the journals; Explore, Alternative Therapies in Health and Medicine, Subtle Energies (ISSSEEM), Frontier Sciences, the Advisory Council of the Association for Comprehensive Energy Psychotherapy (ACEP), Emotional Freedom Techniques (EFT) and the Advisory Board of the Research Council for Complementary Medicine (UK), Core reviewer for BioMed Central, Complementary and Alternative Medicine. 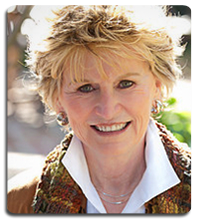 June K. Spencer is the co-developer of Inner RePatterning with Tania A. Prince. 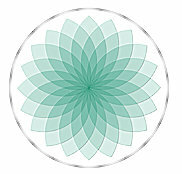 Inner RePatterning is a stand-alone, mindfulness-based psychotherapeutic technique developed from EFT and inspired by the work of Eckhart Tolle and Larry Nimms. 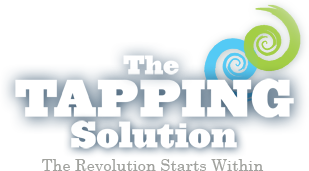 Inner RePatterning has been shown to effectively alleviate complex physical and mental health challenges. 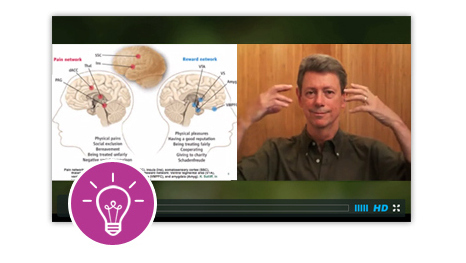 Earlier this year, Inner RePatterning was featured on the EFT Hub, an important resource where professionals in energy psychology learn about developments in the field. Ms. Spencer offers training and programs throughout the U.K. in Inner RePatterning for anger management as well as an 8 week course based on the principles of mindfulness. She is also Teacher/Practitioner of Complementary Therapies. For more information on her work please visit www.complementsholistics.co.uk or www.innerrepatterning.com. The Acupuncture International Brigade (AIB) provides training for health professionals in countries grappling with crisis situations. The protocol in auricular acupuncture that they teach creates a dramatic reduction in post traumatic stress. It can be taught to people who are not versed in Chinese medical theory. It is also a useful therapy for treating many people quickly such as needed when large populations are affected. AIB has responded to natural disasters around the world. In 2006, Sexto Sol sponsored their training of 50 doctors in Chiapas following the Hurricane Stan disaster (see sidebar left). During the 9-11 crisis they treated traumatized citizens and rescue workers, and even stressed rescue dogs. Dr. Dain Heer, D.C. with founder Gary Douglas, brings Access Consciousness to an international audience. Access is a process that gives people tools to create freedom in thier lives. The Bars, part of Access, is a powerful body-centered therapy that produces emotional release and healing. Dr. Heer is the author of a powerful book "Being You, Healing the World." Please see sidebar on the right to learn of his contribution to IPH in support of healing for the people of Guatemala. Our sincere thanks for his caring. Dr. Cárdenas has directed 44 research projects over 25 years and presented 176 papers and lectures at professional conferences in México and internationally. She is the founder of and has been the principal investigator at the Laboratorio para la Enseñanza Virtual y Ciberpsicología since 2001. She has published 51 articles, 10 chapters in books, 9 interactive multimedia tutorials and 7 technological manuals. She has actively participated in the leadership of a Sociedad Mexicana de Psicología, serving as Secretary for the profession's national congress from 2001 o 2004 and as representative for UNAM from 2005-2008, Vice President of the Colegio Mexicano de Profesionistas de la Psicología 2009-2011, and Director of Interest Groups in the International Association of Cyber Psychology, Training and Rehabilitation 2010-2011. Leah Lund is a Holistic Health Coach, Neuro Nutrition Specialist, Author and ultimate guide for feeling good on purpose! Leah helps you feel happy, hopeful and at peace using food and targeted nutrients to manage anxiety, depression, low energy, insomnia, lack of focus, compulsions, overwhelm, weight gain, stress management and more. Her virtual coaching programs combined with on-line journal give personal attention, accelerate your results and help you look and feel your best without relying on will power. Leah is a regular speaker on wellness summits and blog radio and is creating happy brains in the US and World Wide including Canada, Guam, Australia, New Zealand, UK, Norway, Chili, Israel, Mexico and Austria. Details on her coaching programs, The Brain Makeover and One Whole Health Wellness Retreats available at www.onewholehealth.com. Tom Paladino is an engineer who has developed an innovative method of using scalar energy to assist people to reverse illness. We are grateful to him for his generous assistance to people in need through the Sexto Sol Center.www.selfhealgo.com. Alan Seid, founder of Cascadia Workshops, works with changemakers who struggle with making a bigger difference and knowing how to manifest their vision. Alan holds a university degree in Sustainability -- the long-term health and vitality of people and communities in economy, ecology, and culture. For more than 20 years, Alan has immersed himself in learning, integrating, and teaching powerful sustainable living and personal development practices. As a seminar leader, facilitator, coach, and special events speaker, his clients have spanned individuals, couples, families, and the nonprofit, government, business, and academic sectors. Alan is known internationally as a fun, knowledgeable, and engaging presenter, with more than 10,000 online subscribers in over 40 countries. Among his credentials, Alan is a Certified Trainer in Nonviolent Communication. He also holds a certificate in Permaculture Design, which he practices on the 25 acres in the foothills of Washington State's North Cascade Mountains, USA, where he lives with his family. Besides producing both online and live events, Alan is currently authoring several books for people who are interested in the intersection between making a difference, personal development, and lifestyle design. We we can help people heal and we can change the world. For more information or to learn how you can become involved, please write tamara@sextosol.org.